Together with his band, The Grand Scheme, Aloe Blacc electrified audiences everywhere from Amsterdam to Manchester with a captivating live show. His hit single “I Need A Dollar”, played up and down on every station and Carhartt is proud to have supported this “new conscious Soul star” on his first big tour to Europe. Now the second huge single called “Loving You Is Killing Me” from his Album “Good Things” has been released and Aloe is touring europe again! 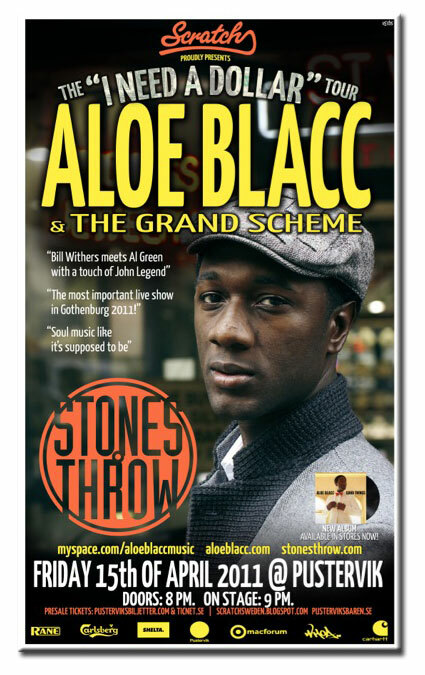 Carhartt presents the first concert of Aloe Blacc & the Grans Scheme in Gothenbrug (Sweden) – so you better run to grab a ticket!